Hi friends. Halloween is over and Christmas is rolling in at a rapid rate. Less than two months until Christmas - eek!! Time to get working on your Christmas cards so you aren't in a frenzy come December! 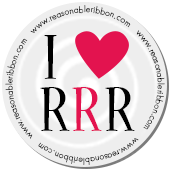 Really Reasonable Ribbon has the perfect ribbons and trims to add that extra pizzazz to your projects! So, if you're late to the party and have not even started thinking about your Christmas cards yet, why not consider grabbing the great Ribbon Club deal we are offering this month. Join Ribbon Club this month and get the October and November assortments in your first shipment for a great low price. Both assortments would be great for all your holiday cards. Each assortment contains 9 styles and a total of 17 yards of ribbon and trim. What a fun way to treat yourself for the holidays and build your ribbon stash. Soon you will have the perfect ribbon for any project. It's also a great way to try new ribbon styles. JOIN TODAY!! I used two of the styles from the November Ribbon Club assortment on my card today. The bow is made with the Old Gold Shimmer Satin. I also ran a piece of that same ribbon across the middle of the card under the sentiment and topped it with Silver and Gold Diagonal Stripe Satin Ribbon. To tone down the white satin, I sponged on some old paper distress ink. This made it fit in better with the vintage feel of the card. My perky double-loop bow was created on my Bow-it-All V2.0 Tool. This is my very favorite tool and will help you create perfect bows every time. For a complete list of all my Bow-it-All video tutorials, click HERE. The wonderful sentiment panel is from Polly's Paper Studio. I love having some great digital sentiments on hand to create a beautiful card quickly. Love the dark red with the cream snowflake. Gorgeous card with the November selection of ribbon.